Each family’s financial situation is evaluated individually for need-based assistance. An early aid estimate is available. Academic scholarships are awarded to all full-time US students with good academic credentials, regardless of need. Athletic and ROTC scholarships are also available. UT has one of the nation’s top NCAA Division II sports programs. The University of Tampa is a medium-sized, comprehensive private university that provides its students exceptional learning experiences in a global context. It’s a place committed to supporting every student’s development and success, recruiting and promoting faculty of the highest credentials and standards of excellence, creating a supportive campus community, and engaging the larger community and world. Celebrated scholars, teachers, and authors from around the globe fill UT’s distinguished faculty. Their aim is to fulfill the University’s commitment to its 8,900 students, who come from every state and 140 countries, with a challenging curriculum that prepares them for the 21st century. 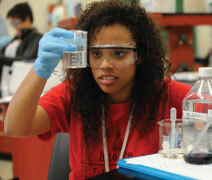 That aim is accomplished with high-quality educational experiences based in theory and practice. The student-faculty ratio is 17:1, helping assure meaningful interaction and optimal use of University and classroom resources. Premier national and international accreditations further the mission. 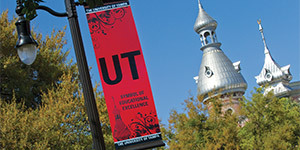 UT is fully accredited as an institution, and its programs are individually accredited by the National Association of Schools of Music, the National League for Nursing, Forensic Science Education Programs Accreditation Commission, and the prestigious AACSB International (the Association to Advance Collegiate Schools of Business). The University offers more than 200 fields of study and pre-professional programs in a core curriculum based firmly in the liberal arts tradition. For the University’s most talented students, the Honors Program offers extended opportunities for instruction, research, internships, faculty-led Honors Abroad trips, and selection to represent UT at renowned Oxford University for a semester. Located on the Gulf Coast of Florida in an exciting, growing urban setting, The University of Tampa lies across the scenic Hillsborough River from downtown Tampa. Proximity to the city makes UT a great place for career building. Downtown is a five-minute walk away. Residents revel in year-round enjoyment of the outdoors—walking, biking, jogging, rollerblading, or sightseeing on Bayshore Boulevard’s six-mile waterfront sidewalk and the newly designed Tampa Riverwalk; running, swimming, boating, or waterskiing at the world-renowned Gulf beaches; or visiting the area’s myriad parks and waterways. Want culture? At UT, you can walk to museums and the Performing Arts Center, art galleries, Ybor City, an IMAX theatre, and countless shops and restaurants. Like big-time sports? Tampa is a city of champions and first-class venues. Raymond James Stadium is a short drive away; the New York Yankees train at Steinbrenner Field; the NHL’s Tampa Bay Lightning face opponents at the Amalie Arena; and the Tampa Bay Rays play major league baseball at Tropicana Field in St. Petersburg. Want entertainment? Busch Gardens and the Florida Aquarium are nearby, the campus is an hour west of Disney World, Channelside is a short trolley ride from downtown, and shopping is abundant at International Plaza, Westshore Plaza, and quaint Hyde Park. An innovative year-long orientation program called First-Year Seminar guides students through their first year at UT. 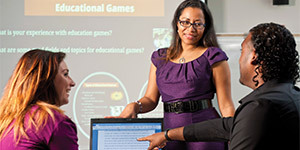 Professors lead small classes that explore career possibilities, critical-thinking techniques, and other essential areas of college life. These professors also serve as academic advisors, career consultants, and mentors for first-year students. Now this is campus life! On the UT campus, history and tradition complement beauty, high-tech performance, and modern style. Plant Hall, built in the 19th century as a luxury hotel, is a registered national historic landmark widely admired as one of the finest examples of Moorish architecture in the Western Hemisphere. Not a place to rest on its laurels, the University has also invested more than $575 million in new facilities and technology in recent years. Eleven residence halls offer students close-knit residential communities with the comfort and security of home. The nine-story Vaughn Center is the hub of campus life, with a student union, a Barnes & Noble bookstore, the Spartan Club, the Reeves Theater, a 13,000-sq. ft. top-floor conference center, a new exercise and fitness center, excellent dining services, a convenience store, Einstein’s Bagels, and lots more. UT’s Innovation and Collaboration Building houses our top-ranked Entrepreneurship and Cybersecurity programs. The newly renovated Bob Martinez Sports Center and Naimoli Athletic and Intramural Complex provides student-athletes state-of-the-art sports facilities. UT provides everything for an outstanding educational, social, and cultural experience, plus myriad opportunities to hone leadership skills with more than 250 clubs and organizations. These include student government; honors societies; student publications; sororities and fraternities; nationally recognized Army, Air Force, and Naval ROTC programs; TV/radio stations; intramural sports; community service opportunities; guest lecturers; theatre performances; concerts; art exhibits; poetry readings; student recitals—and more. Looking for a model private university? You’ve found it: The University of Tampa.